Without further ado, meet Katie D'Amato founder of Balanced by Katie. We got to ask Katie some questions about how, when, and why she started her small biz! Here are her answers! I founded Balanced by Katie to provide my patients with convenient, fully personalized, balanced and mindful care. When did you start Balanced by Katie? No, I never thought I would own a business. I've always been in a role teaching, coaching, and helping others. Past jobs include summers teaching tennis clinics, working in a physical therapy clinic, serving in a restaurant, and being an in-home personal trainer. It's funny how our past jobs give us hints about our future. The business I started is very much like the in-home personal training I did for a couple of years as supplemental income in graduate school. I was part of that in-home treatment model and comfortable with it so when PT clients asked me to come see them in their home I gave it a try and now here I am with my whole business based on that model. I would say the biggest factor that led me to go out on my own, though, is to be able to provide personalized, undistracted physical therapy care to my patients. After 7 years in busy PT clinics, I was fed up with the business model because I didn't feel like I was able to fully utilize my talents and truly help people the way they deserved. Organization, setting a schedule, setting boundaries, making efficient and smart use of time. Man, there is so much to know! At first it's overwhelming and then again it's overwhelming and again and again. BUT if you are a learner and go-getter, it's fun to uncover all of the aspects involved in running a business. I think learning when and how to delegate aspects of your business over to professionals in a particular area you are looking to develop is KEY. I'm a highly relational person. I took the Gallup Builder Profile and "Relationship" was my top talent. How this helps me in business is using relationships with clients, colleagues, friends, other entrepreneurs to receive new clients, gain business-building information, get introduced to someone who could help me, and overall growth. I haven't read many books or watched videos on how to build a business. I've learned it all through connecting with people along the journey. Knowing when, how, what to delegate and seeing the big picture. I am highly trained and experienced as a physical therapist. However, I value variety and individualization, so my treatments are not the typical "in the box" physical therapy care. What sets me apart is that I want to get to know my clients and what drives them. 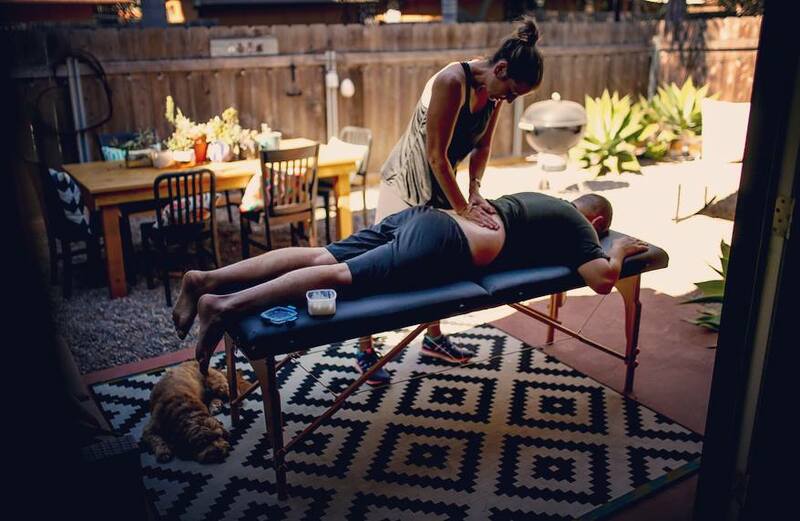 Depending on how my client is feeling and their goals we can do hands-on care specific to pain and injury, we could do a movement assessment and treatment to accomplish a particular sport or task safely, we can do strength training and flexibility, and/or a rehab focused yoga sequence with breathing. The in-home one-on-one PT to the patient model I've developed allows all my focus to be on the client, and we create a partnership and plan together to meet their goals. It's a win-win on both ends because I'm doing what I love and the client has fully accessible and focused professional care at their fingertips. I see my style of healthcare - holistic, personalized, & private cash pay getting much more popular and accessible. Ready to get your small biz idea off the ground like Katie? Older PostHow to Start a Biz: FREE GIVEAWAY!